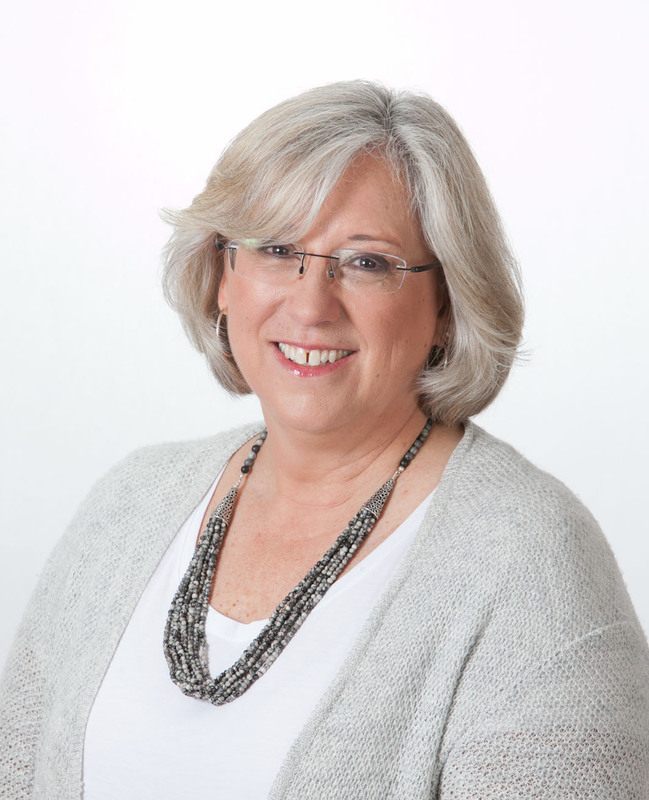 Early in her career, Lisa M. Coussens, Ph.D., had mentors who pushed her to think differently. 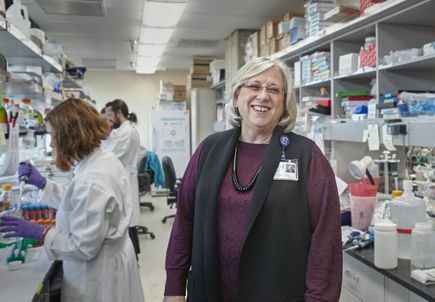 Coussens, the OHSU Knight Cancer Institute’s associate director, and chair of the Department of Cell, Developmental and Cancer Biology in the OHSU School of Medicine, says heeding that advice has served her well throughout her career. In recognition of her laboratory’s body of work and contributions to the field of cancer research, the American Association for Cancer Research, or AACR, will award Coussens its 2018 Princess Takamatsu Memorial Lectureship at its annual meeting in Chicago later this month. The AACR established the Princess Takamatsu Memorial Lectureship in 2007 to commemorate the Japanese royal who was a prominent champion of cancer research from the 1930s until her death in 2004. In addition to receiving the award, Coussens will present the Takamatsu lecture on April 16. Coussens says she had the privilege of attending a Princess Takamatsu Symposium in Japan early in her career. Coussens is quick to point out that this award was not earned by her alone. The success of her lab, Coussens says, can in part be attributed to a few key early findings. Coussens’ lab focuses on the role of immune cells in cancer and identifying new targets for therapies to block critical steps in the interactions between tumors and infiltrating immune cells. She says everyone in her lab has a slightly different focus, but they are all investigating how the immune microenvironment impacts malignant cancer cells. The role of running a lab, Coussens believes, is to provide personal and professional perspective to trainees. She works to challenge their thinking, like her mentors did for her. A risk-taking, challenging environment is not always suited for everyone, however. In thinking about the future of cancer research, Coussens says she has seen many theories come and go. 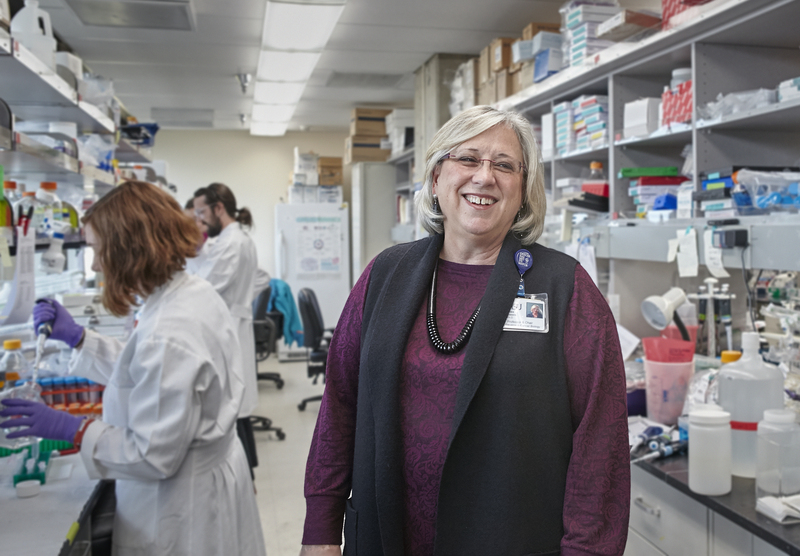 Her longstanding focus is still exploring what is now the promising field of immunotherapy. Coussens points to the work of Brian Druker, M.D., director of the OHSU Knight Cancer Institute, with the development of the drug Gleevec to target malignant cells in patients with chronic myeloid leukemia, as an example of the pioneering breakthroughs that have advanced cancer research.